In this swap you'll send one postcard to one partner. 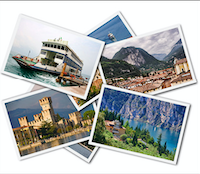 2) Write about your imaginary holiday on the postcard. For example: "If I visited Nowheresville in State of Whatever, I would really like to visit the Museum of Things, and go for a hike in Blah National Park and swim in Body Of Water. I would also try Strange Foreign Food and maybe even Weird Local Sport! For a souvenir I would bring An Item." 4) Newbies are welcome with a well filled profile. Well filled means I should be able to scroll the page. 5) No recent or unexplained 1 or 3 ratings! Not only a brilliant idea but hilariously written! This is awesome! Thanks for hosting such an interesting and fun swap, @neea1989 !! Very imaginative! Someone likes planning holidays as much as me by the look of it!😄😄😄 Great swap! Congrats, @neea1989 ! This swap is Number 4 in the Top Ten list! Love the creative idea. We sometimes take our own countries/provinces for granted and forget what is offered to us on our own back door. Haha. Museum of Things sounds so interesting ;) Great idea!